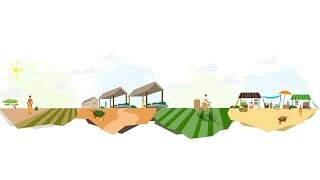 The U.S. Agency for International Development (USAID), in partnership with Ashden, a United Kingdom-based energy charity, announced a new award for innovators who use or supply clean energy technologies to increase production in the agricultural sector. The contest is open for entries until November 5, 2013. The winner will receive an award of up to £40,000 (approximately $64,000) at a ceremony in London on May 22, 2014. USAID is supporting this award through its Powering Agriculture Grand Challenge for Development, an initiative that is engaging a broad range of innovators to find new ways to bring clean energy to farmers. “Ashden is a well-respected organization that understands energy needs in the developing world. This collaboration is the perfect opportunity to amplify the efforts of our Powering Agriculture Grand Challenge program, and we are proud to be joining with Ashden for this award,” said Dr. Alex Dehgan, Science Adviser to the USAID Administrator. 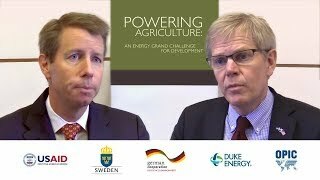 The USAID-Ashden Energy for Agriculture Award will carry out the work of supplying renewable energy or energy efficiency products or services to improve agricultural processes in developing countries. These innovations are designed to help farmers to mechanise their operations, improve irrigation, or add value to agricultural products through processing or refrigeration. “We are looking for innovative, market-based sustainable energy solutions to increase rural farmers’ agricultural yields and incomes,“ stated Ashden Founder Director Sarah Butler-Sloss.